The European Bank for Reconstruction and Development was founded in 1991 when Europe’s former communist countries were building new private sectors and democracy. Today we invest in changing lives across three continents. 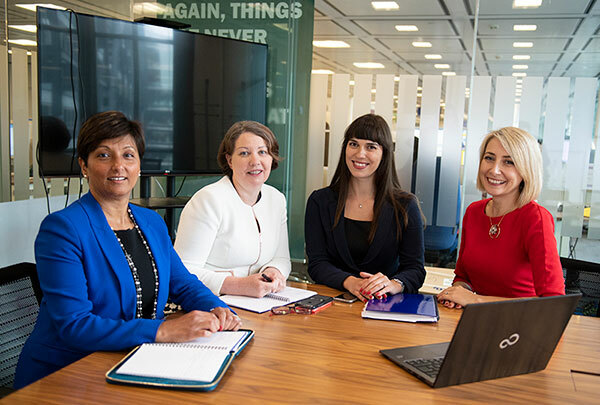 “The EBRD is great at providing networking opportunities for its female employees – within IT we regularly meet both formally and informally and there is plenty of training available, including specific training for women in IT. The Bank is also amazing at supporting a good work life balance; we have a parents network and great flexible working arrangements”. The EBRD invests in changing lives – a mission that couldn’t be achieved without its employees. With staff coming from dozens of countries, our workforce is as diverse as our portfolio. The EBRD recruits talented and driven individuals to work in our London headquarters and resident offices spread across the countries where we invest.